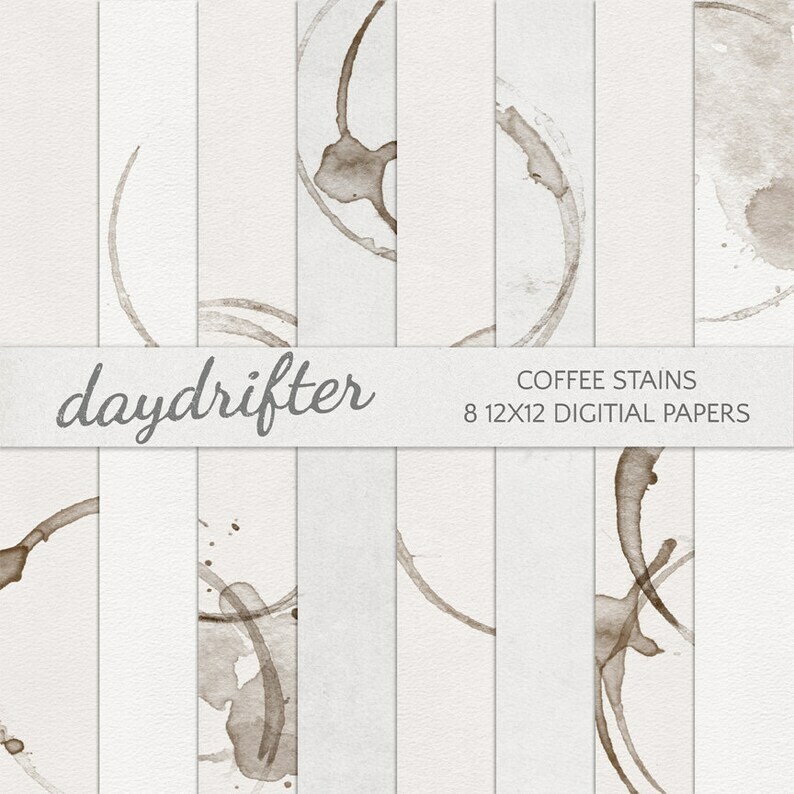 A set of 8 digital paper backgrounds (12x12 300DPI) created by Daydrifter Digital Design. The set has 8 coffee stained and aged textured papers. Use them for your digital scrapbooking pages or print them to use in your commercial projects. This set includes 8 high-resolution (300ppi) papers in JPG format. You may not use these graphics to create web templates for resale. All digital images and sample images are Copyright ©Daydrifter Digital, all rights reserved.